The bid tone remains intact around the single currency on Thursday. The next target for spot could be the 1.1830 region. EMU’s Q1 GDP figures next of relevance in the region. 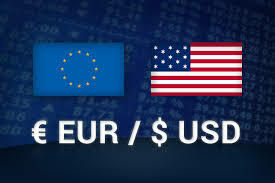 EUR/USD keeps the march north well and sound on Thursday, advancing to the 1.1800 neighbourhood on the back of renewed anxiety over next week’s ECB meeting. The pair has already gained around 3 cents since last week’s fresh cycle lows in the vicinity of 1.1500 the figure. The sharp correction higher in spot came initially on easing political concerns from Italy, while recent comments that the ECB could start its QE tapering as soon as at its meeting next week gave further legs to the EUR-rally via further short-covering. The greenback, instead, continues to suffer the selling mood and is now treading water around weekly lows in the 93.40 region when tracked by the US Dollar Index (DXY). In the data space, German Factory Orders for the month of April are next on tap seconded by Q1 GDP figures in Euroland. Across the pond, the weekly report on Initial Claims will be the lone event today. At the moment, the pair is gaining 0.26% at 1.1805 facing the next up barrier at 1.1830 (high May 22) followed by 1.1998 (high May 14) and finally 1.2012 (200-day sma). On the downside, a break below 1.1718 (low dec.12 2017) would target 1.1684 (10-day sma) en route to 1.1511 (2018 low May 29).